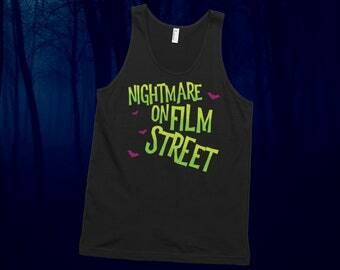 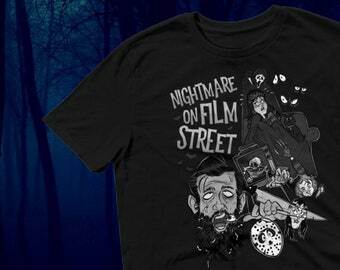 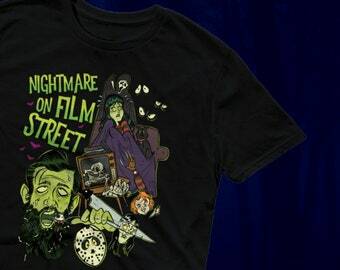 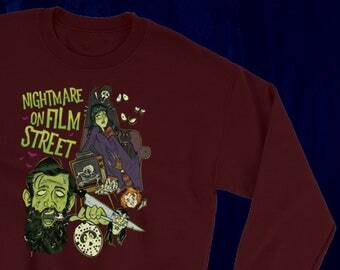 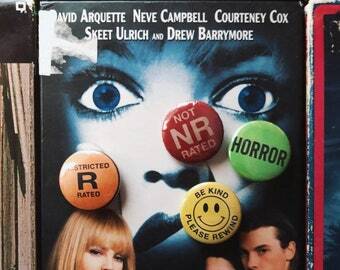 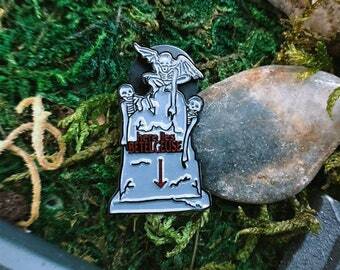 Join Nightmare on Film Street hosts for a Horror Movie Marathon with 4 hand-stamped buttons! 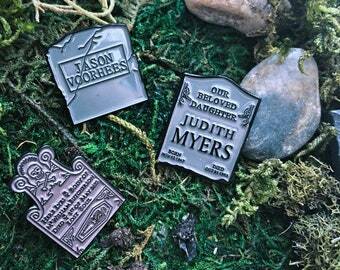 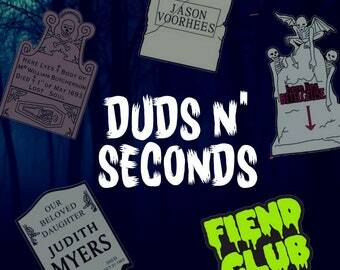 Classic pinback buttons to arm your lapel with the cartoons of your favorite spooky podcast hosts! 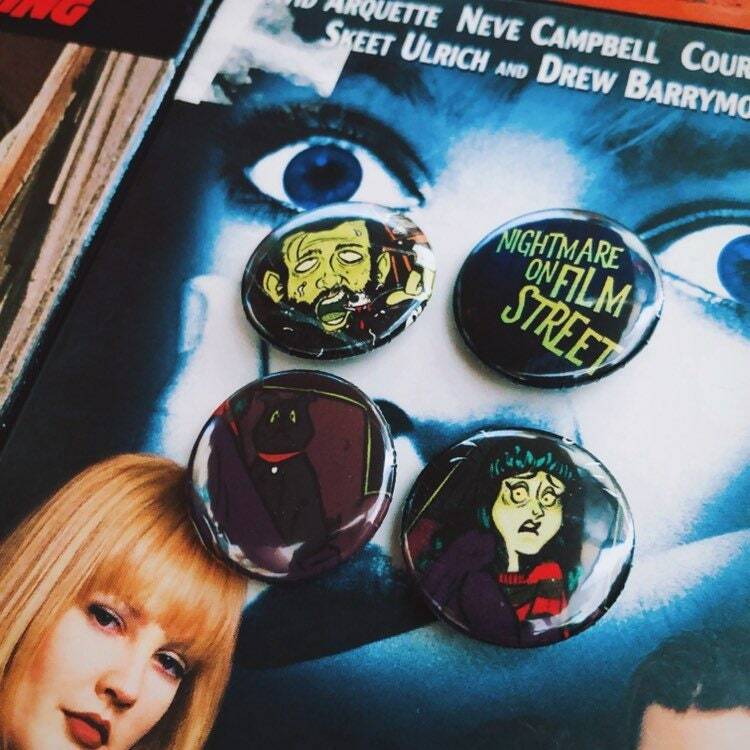 + 4 Nightmare on Film Street themed buttons of Jon, Kim, the Nightmare on Film Street logo, and BONUS PUG!